This adorable antique bronze elephants sculpture beautifully showcases the protective and gentle side of one of nature's most revered beasts. 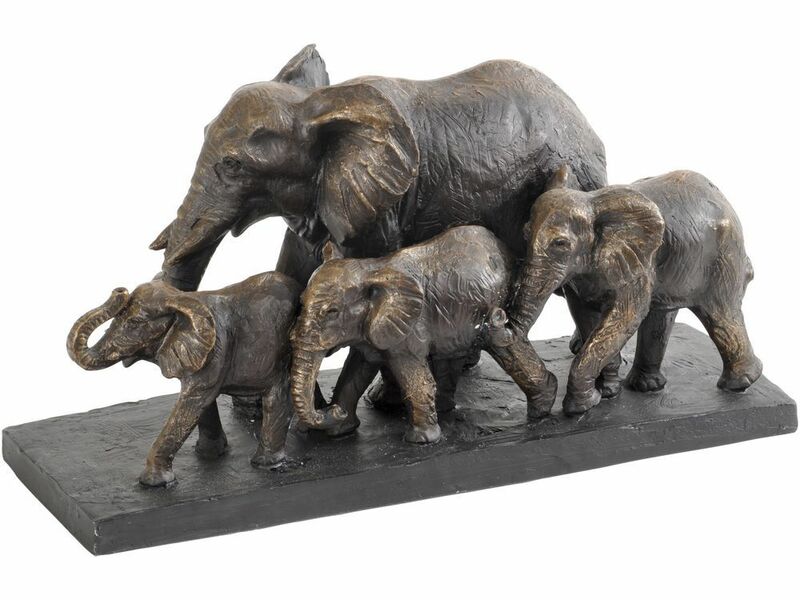 Shown walking alongside their confident mother, this bronze elephant sculpture cleverly manages to capture the playful personality of the baby elephants. The metallic finish to the resin has bright bronze accents that accentuate the captivating detail of this handsome elephant ornament. This sculpture is a tribute to the majesty of nature, and it would add a unique, fun, yet chic charm to any of your rooms.